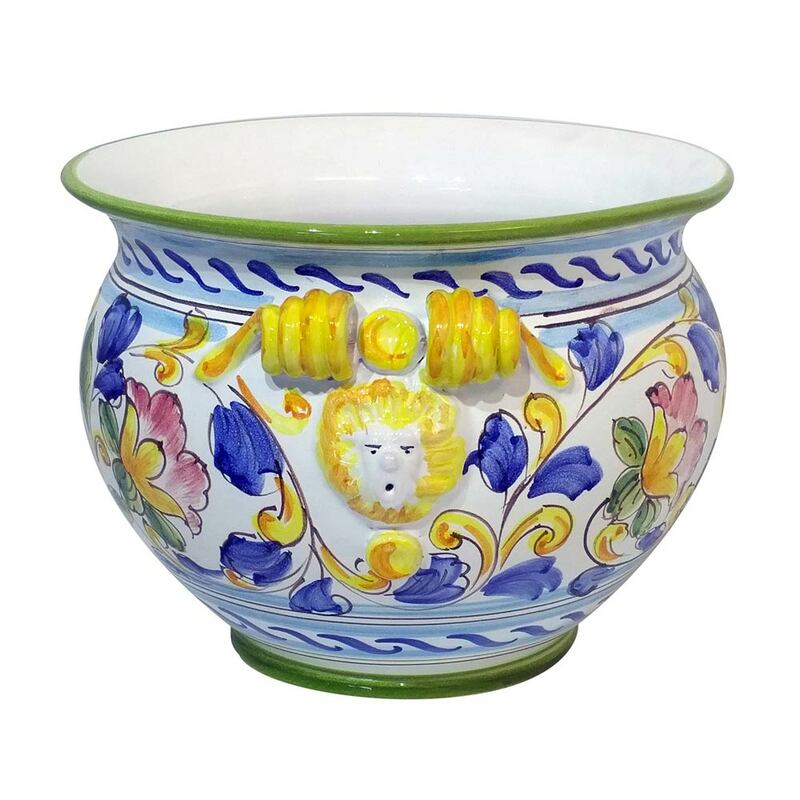 Maiolica is Italian tin-glazed pottery made in dazzling colours. 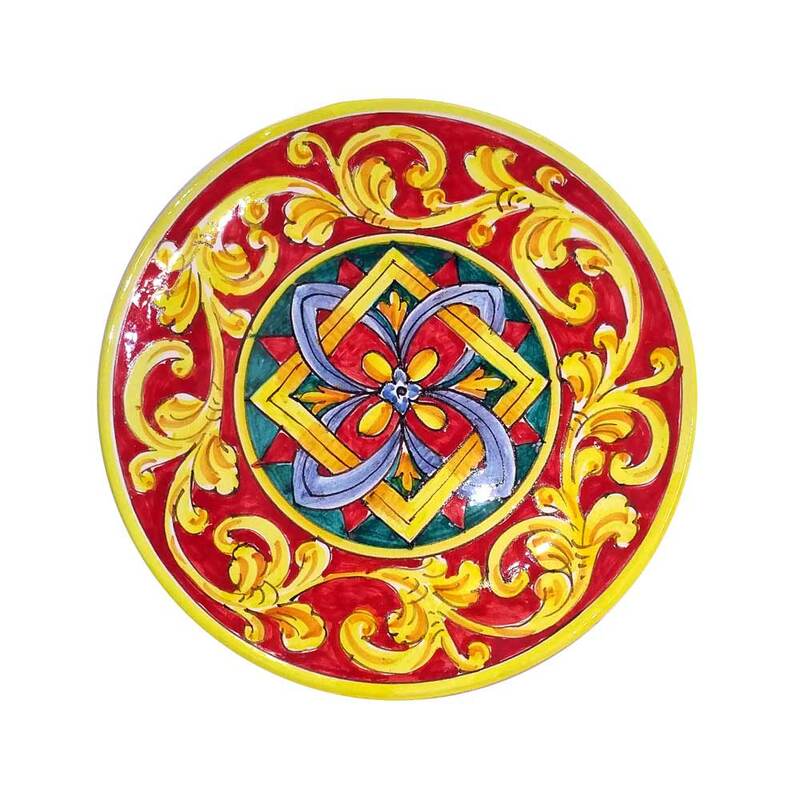 New methods for making varied colours of glazes were initially brought to Sicily by the Arabs of North Africa in Medieval times, and the art of making Maiolica then spread from Sicily throughout Italy during the Reinassance. Maiolica is a form of ceramic earthenware made of fired clay, terra cotta, which has been moulded by hand by ceramic artisans. After the first firing, it is painted with a white tin under-glaze or ‘imprimatura’, which creates a brilliant white, opaque surface for painting. 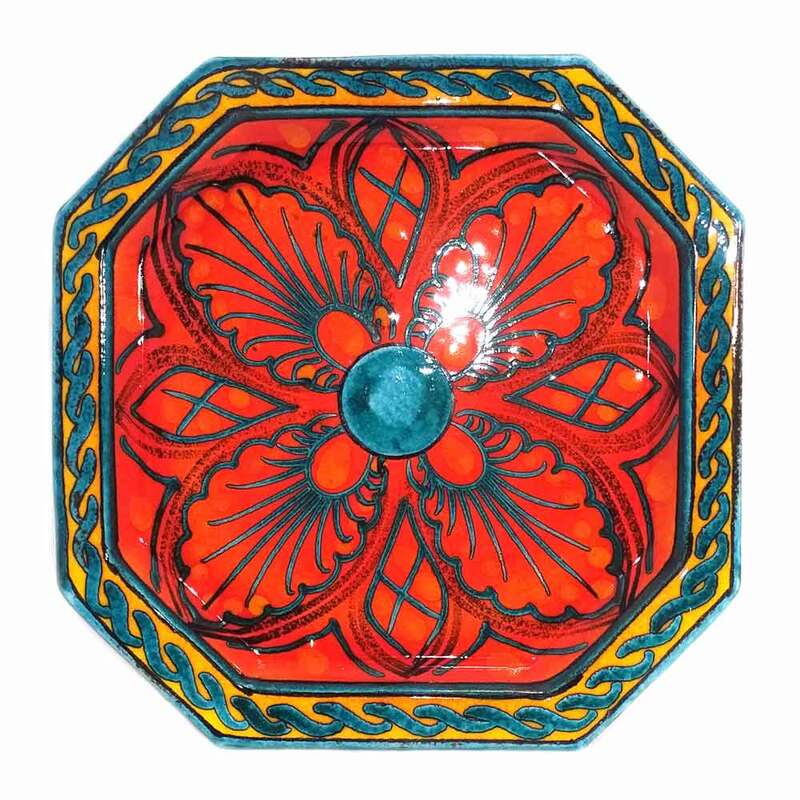 The product is then hand painted with intricate designs using metallic oxide glazing enamels and then fired a second time, resulting in a reflective, durable finish of brilliant colours. 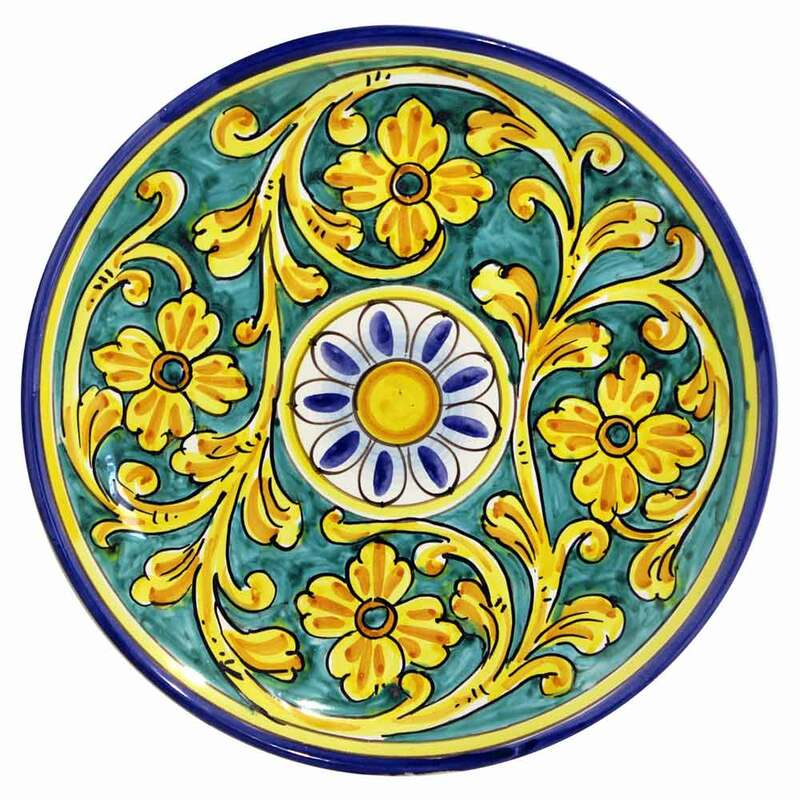 (Maiolica is not to be confused with Victorian majolica, an English imitation of maiolica using lead paints). The creative process for making maiolica remains the same as it was 500 years ago. The artist now uses an electric wheel to throw the clay, and wood burning kilns have been replaced by electric ones, but all the work that goes into creating the ceramics follows the same ancient tradition, especially the hand painting process, where quality and artistry define a true piece of Sicilian maiolica.